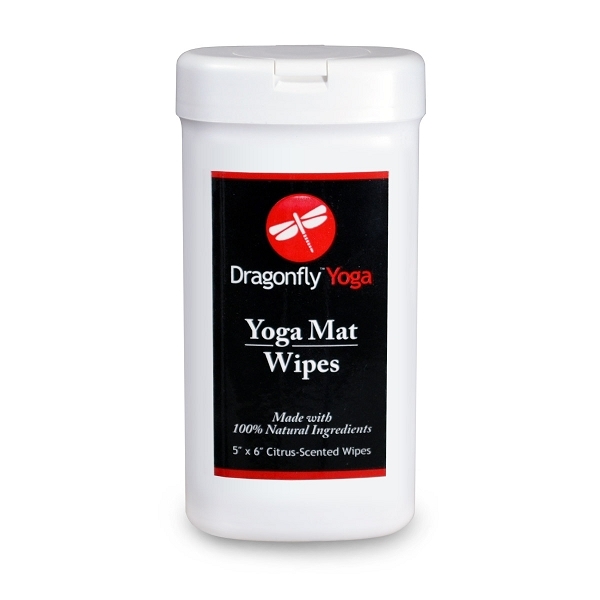 The Dragonfly mat cleanser wipes are the perfect solution for after yoga class. Every package contains 20 wipes. Perfect for the yogi on the go. Works on all water safe surfaces, including your balance balls, foam blocks, chairs, cushions, straps and all your other Yoga and Pilates accessories. Designed to keep your accessories clean, disinfected, and smelling fresh. Just wipe and go. Yoga mat should always be completely dry before storing or using. Regular cleaning will extend the life of your favorite yoga mats.